How Can I Beautify My Maryland Landscape? How Can I Beautify My Maryland Pool? 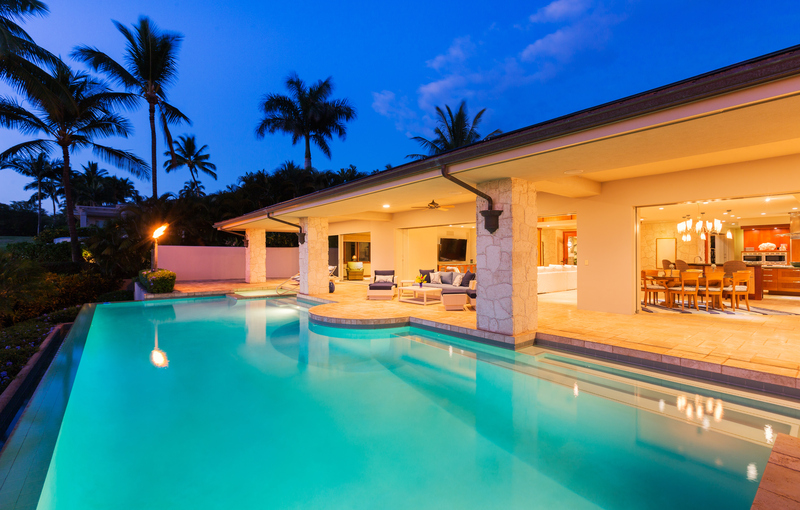 Illuminate your pool with custom LED lighting. Spring and summer are the best seasons to enjoy outdoor living in Maryland, but updating your pool can be difficult if you don’t know where to start. Have you considered illuminating it with custom lighting? The right LED lighting will totally transform the way that your pool looks and maximize your enjoyment of the long warm summer nights. Here are a few considerations to keep in mind when choosing outdoor lighting. Outdoor lighting is the best way to make your yard a safer place throughout the year. Lit walkways and paths help to prevent people from tripping or stomping through your daffodils by accident. Outdoor lighting can be installed along pathways, around a patio, throughout a garden, around a pool area, or even around your garage. The more outdoor lighting you use to complement your home, the safer it will be. If you can see your yard throughout the night, burglars and vandals are much less likely to attempt any crimes in your yard, since they know that they’ll be seen. A well-lit yard can dramatically reduce the likelihood that you’ll need to deal with theft, so an investment in outdoor lighting is an investment in the overall security of your home. Outdoor lighting is a great way to decorate and accent parts of your Maryland landscaping and hardscaping. Use uplights to highlight parts of your landscaping and draw the eye toward them. You can also use mood lighting around your patio or outdoor seating areas to create a cool place to hang out after the sun sets. Colored lights are a fun way to spruce up the area near your pool and keep the pool party going all night long. This entry was posted on Friday, April 7th, 2017 at 3:15 pm. Both comments and pings are currently closed.